This means the effect of the two planes of analysis so far, one just under the circlecurrent and the other the same distance above it, will tend to cancel each other out. When the BoL raises a specific ion in the stalk would experience subsequently a push towards one side of the stalk from the upper half of the BoL and then an equal push to the opposite side of the stalk from the lower half of the BoL. 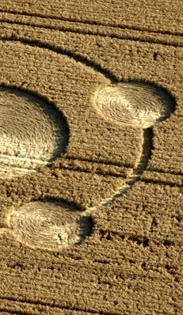 These pushes will undo each other, resulting in no change of the ion density and so no cropcircle forming. Should we retract our celebration cards from sending them around? Let’s have a closer look at the first 2 inches above the soil when there appears and subsequently rises a BoL, see fig. 4.2. A. 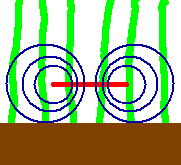 On the bare soil between the stalks suddenly a circlecurrent appears (red line) just as if it is laid there on the ground - a BoL is born! (I have a proposal how this works but let’s keep that for a later time.) 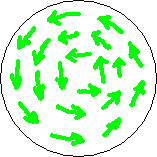 At the very first moment the BoL doesn’t move and so its magnetic field, no matter how strong it is, will render no effect. B. Then all of a sudden it shoots up to the sky. Now its magnetic field does do something. Depicted here is when the BoL has raised about 2 inches (5 cm) above the ground. The circlecurrent now is 2 inches above the ground. 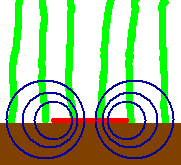 In the first 2 inches above the soil horizontal field component is found directly below the circlecurrent, but is nearly absent everywhere else just above the soil. In the lowest 2 inches of the stalks above the ground first works the lowest 2 inches of the upper half of the BoL. Thereafter works the most upper 2 inches of the lower half of the BoL, on the lowest 2 inches of the stalks. Provided the magnetic field strength and the velocity remained the same in these first 4 inches of rising, the forces there cancel each other out precisely. So in the lowest 2 inches of the stalks above the soil, no net ion separation is achieved, when the BoL rises from the soil up to 4 inches. And thus no bending as effect of this, yet. C and D. The BoL rises higher. The part of the magnetic field below 2 inches under the circlecurrent works on the lowest 2 inches of the stalks without opposition from the corresponding part of the upper half of the BoL. The upper half above 2 inches above the circlecurrent will never have reached the lowest part of the stalks. This conveys a push to the ions there to one side of the stalks without opposition from forces on a later time. Finally the stalk experiences a net asymmetric growpuls at the lowest part of the stalk only. Precisely what we need to make a tidy, neat cropcircle. 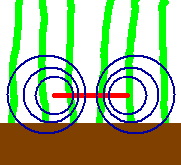 Regarding the lowest 2 inches of stalk, when shifting from B to C to D the circle where the magnetic field is entirely horizontal (inducing maximum force) shifts to the outside (the circle becomes larger). At the same time the magnetic field line density there becomes lower, indicating weaker force. When the induced ion concentration drops below the threshold, no grow will start. The lay of the crop ends there, leaving the rest of the crop field unchanged. A similar picture holds for a descending BoL, coming in from above the crop and heading for the soil. 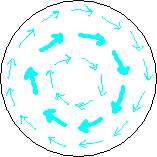 Ion after ion in the stalks experience first the influence of the lower half of the BoL’s magnetic field and then the influence of the upper part, canceling each other out. The heat involved with such a to-and-fro shaking just builds up. Soon the lower half of the magnetic field reaches the last 5 cm above the ground exerting a push on the ions to one side of the stalk there. But just before the effective part of the upper half of the BoL is going to undo this, the circlecurrent hits the ground and end its life there and the magnetic field ceases to exist. Leaving the mentioned push in the last 2 inches unchanged by opposition. So we found a way to make a cropcircle, then found a serious flaw but finally solved it to end with precisely the result we want. That’s really nice but the way was so squirmy that I wonder how much meanderings I still have overlooked. E.g. The bending at the nodes. In case of a rising BoL, each node is passed by the upper half of the BoL and subsequently by its lower half. These cancel each other out, leaving no net concentration of ions anywhere. 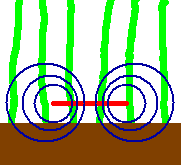 The heat of the passage causes nodes to blow and/or bending at the nodes, all at the same side of the stalks, leaving a neatly downed crop circle. In case the part just above the soil wouldn't work (e.g. because BoL speed is below threshold velocity) one would obtain upright stalks from the soil to the first node and there, half a meter above the ground, a neatly downed crop pattern would appear. Another example. 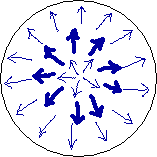 In the center of the circlecurrent the magnetic field is strong (high field line density) but it is mainly vertical field component and nearly no horizontal component. So when the BoL shoots upward the central part might get too little force and maybe is not downed. 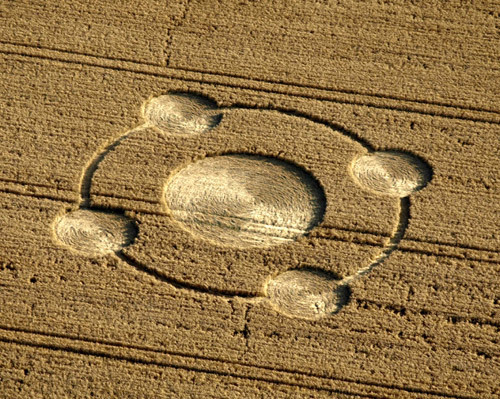 Depending on the size of the standing central part one speaks of ”a cropcircle with a central tuft” or of ”a cropcircle in the shape of a ring”. 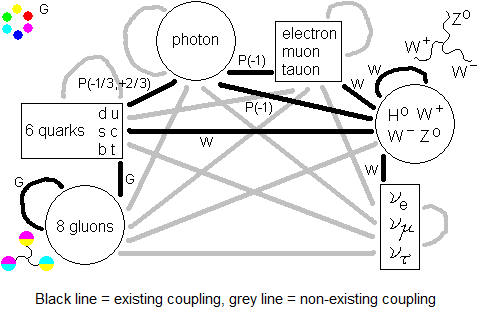 I strongly recommend a computer simulation program of ions in stalks embedded in the BoL’s magnetic field, thus incorporating all occurring meanderings automatically. Or computations with formula’s, but that is more difficult. Anyway, both ways go beyond my capabilities and I don’t think I will ever do that alone. One day, in the summer of ‘46, I had struck out from Wellspang to Süderfahrenstedt on an errand; I had taken the paved road leading north to Böklund to the top of the rise about one kilometer north of Wellspang, where a dirt road branched off to the left to Süderfahrenstedt. It was a pleasantly warm day, not a cloud in the sky, and, probably most significantly, not even the slightest breeze blowing. As I walked along that dirt road, I came to a section of fields slightly elevated above the surrounding area. Suddenly I became aware of a faint whistling sound and a gentle swaying of the hazelnut, sloe, and elder bushes growing on the hedgerows along both sides of the road. Then, about twenty-five meters to my left, I noticed a three meters wide column of plant debris spiraling counter-clockwise upward to a height of, initially, about eighteen meters. 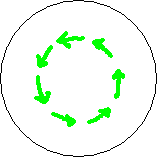 A second or two later four smaller columns arose at ninety degree intervals around the central spiral, each about one and a half meters wide and spaced approximately two meters, edge to edge, from the main column, and, I am quite certain of this, spinning clockwise. The one at the left rear from my position collapsed very quickly, but the other three rose rapidly and caught up with the central column at about eighteen metres. At that height the tops of all four started to whip around violently, and, as they contacted each other, they dissolved into a single turbulent and widening column that kept rising at a perceived angle of about twenty degrees from the vertical to my right to a height of at least eighty meters; at that height the debris became too faint to be visible. By this time a brisk wind was blowing in the direction of the disturbance - presumably from all directions. I made my way through the crop, I think it was oats, to investigate, and I found one large and three smaller sharply defined circles, of the same diameters and directions of rotation of the downed stalk as their respective debris-columns, each with a central cone of stalks wrapped loosely around each other. The collapsed spiral had left only a very faint trace.